For Replacement of Your Turn Signal Light, Corner Light, Stop Light, Parking Light, Side Marker Light, Tail Light, and Backup Lights, ETC.. Double the Light Output! This is for one pair 1157. Total 2 bulbs. 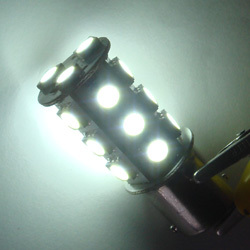 Diameter 19 mm, 28mm height (LED part). 48mm total height. 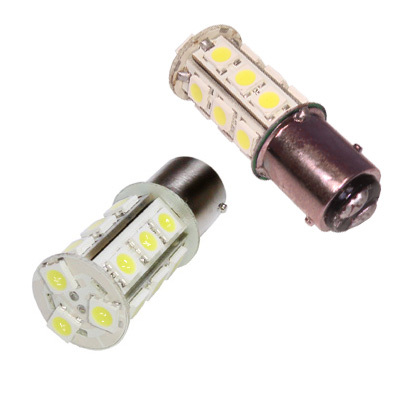 •3 SMD LEDs up layer, 15 SMD LEDs down layers. 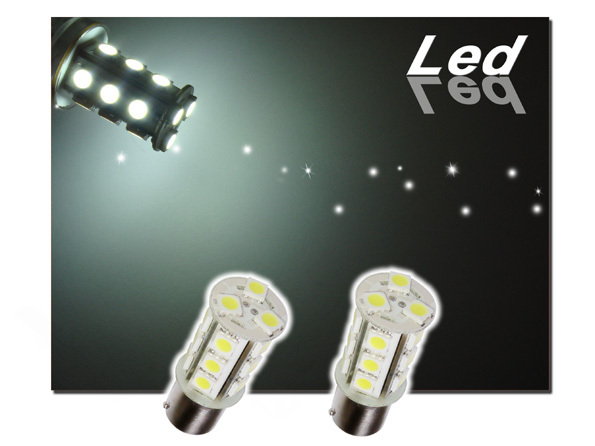 •Total 18 SMD LEDs Lights with Wide View Angle for better reflection. You can match our miniature/wedge bulbs to all our headlight, fog light and drive light for a sleek and unified appearance.